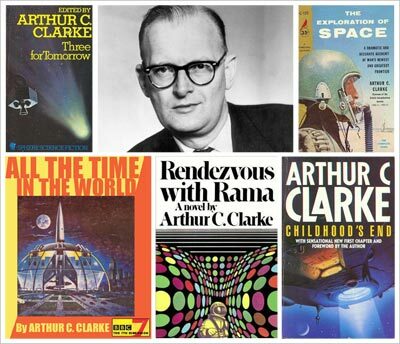 I know Arthur C. Clarke from his masterpiece 2001: A Space Odyssey and its subsequent instalments. I liked the "futurism" of A Space Odyssey and wanted to find out more about this author. He is considered to be one of the "big three" science-fiction writers of the 20th Century, together with Assimov and Heinlein. Looking around for any of Clarke's novels to read for my Century of books, I stumbled upon The Star, a short story that won the Hugo Award in 1956. Without exaggeration, this is the best short story I've read so far - I now grasp the genius of Clarke's work, but also his immense knowledge and vision. Before reading the story, I went on an information-spree for more details about his life. It's incredible how easily I'd dismissed science-fiction in the past as a "lesser" art, because it was "not real" (are other types of fiction real?). Reading about the author, I've come to realise that a well-written science fiction novel requires the same, if not more, amount of background information and research. Clarke did not stop at writing science fiction. He was involved in the pursuit of popularisation of science (for which he won the UNESCO award in 1961) , and even wrote non-fiction books on technical details of rocketry and space flight. Clearly, there is substance in his work. With that in mind, I started reading The Star. The main character is a Jesuit astrophysicist, describing the return from a mission to the Vatican, which is 3000 light years away. First shock - a Jesuit astrophysicist? I knew they had been some great Jesuit scientists, but that a renowned scientist like Clarke writes about one of them? Isn't science supposed to be cut off from religion? Again, I went back to more searching. Clarke was fascinated with the concept of God, and was convinced that any path to knowledge a path to God is. The story is full of pessimism and disappointment. The mission had been to see what was left when a whole civilisation is destroyed following the explosion of a supernova. Thoughts about the futility of things and the loss of faith following what the crew witnessed reveal a great disaster that must have taken place on site. Second shock - A Jesuit losing faith? to wonder "how can complete destruction in the full flower of achievement, leaving no survivors be reconciled with the mercy of God?" and even wondering about future generations "would we have been too lost in our own misery to give thought to a future we could never see or share?" I was intrigued. I did not read the end first (which I notoriously do in every book). Even though I could sense that the origin of this depression must be something huge, I restrained myself and kept on reading. The climax is actually the last paragraph. It is phenomenal. I would never have imagined this outcome, and I'm glad I waited until the end to read it - that is all I'm going to say, to avoid spoilers. Highly recommended reading - I look forward to reading Clarke's other works. It is a true gem! I like science-fiction, and you surely made me want to read this one - thanks! the wikipedia site has a link to the text - trully remarkable!